Natalie Morton began her training at the Ballet School of Chapel Hill under M'Liss Dorrance, Jennifer Potts, and the late Carol Richard. She went on to attend Meredith College where her love of Modern dance flourished under the tutalage of Alyson Colwell-Waber, David Beadle, and numerous guest artists. She was also privaleged to be an integral part of the Meredith Theatre program and graduated with a BA in Dance and Theatre in 1998. 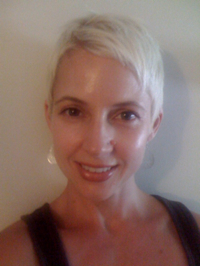 Natalie is now on faculty at The Ballet School and is a certified Pilates instructor at NC Pilates. She is also thrilled to be a member of the local dance company, The Dance Cure. When not dancing Natalie can be found holding down the fort at home with her husband and two boys, Quinn and Avery.